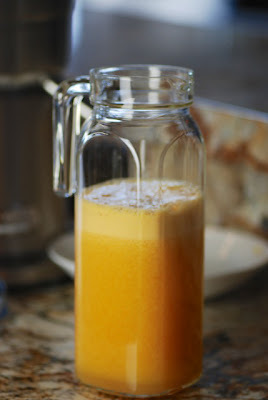 This juice is pleasantly tart and full of vitamin C. It is the ultimate refreshment on a hot, humid day. 1. Peel all fruit. Juice, using an electric juicer or a manual citrus juicer. Enjoy immediately. 2. Garnish with a sprig of mint if desired.